Viking Yachts is the top sportfishing manufacutrer in the world with convertible, open, and enclosed bridge models from 37 to 92 feet. Recently, Viking also began producing luxury motor yachts with the 75 motor yacht, 82 cockpit motor yacht, and the flagship 93. United has the expert team on staff to help you with your purchase of a pre-owned Viking Yacht. In 1964, Bill and Bob Healey founded what would become the dominant force in building premium sportfishing yachts - Viking Yachts. 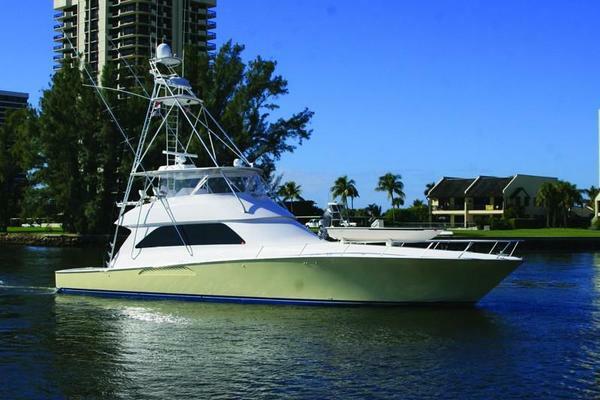 The Healey Brothers bought out Peterson Viking Builders and made it their own sportfishing and cruising yacht company. The Healey brothers are also founders of the Recreational Fishing Alliance (RFA), a non-profit organization that was formed in 1996 to promote sustainable fisheries and a healthy marine environment. Being in business this long, the team at Viking has weathered many storms including the years of the federal luxury tax and the Great Recession in 2008, yet Viking has continued to re-invest in the cutting-edge machinery that is used to build each boat, its factory, and its people. While other boat manufacturers had to significantly cut back or even go out of business, Viking's reputation one of the best built boats in the world and smart financial decisions allowed them to weather the storms and capture even more market share once things improved. With millions of dollars re-invested in recent years, Vikings latest models have continued to drive innovation in the industry where others may have fallen stagnant. While its Sportfish business has maintained consistent sales, Viking expanded its offerings by once again building luxury motor yachts. Built with the same materials and construction techniques as its sportfishing line, Viking's first model - the 75MY - was a hit at the boat show circuit when it debuted. Viking's new flagship of the motor yacht line, the 93MY, packs a significant amount of volume on board that is generally seen on yachts well over 100 feet. The Viking Yachts factory is located on the Bass River in New Gretna, New Jersey and has the characteristics of a small city. Complete with its own water tower and medical center, the Viking headquarters employs hundreds of local craftsmen, factory workers, wood workers, and other positions to produce over 90% of every boat built right at the factory. Many employees are even second and third generation team members. This ability to control almost every aspect of the build, combined with the finest machinery available (including a $1 million five-axis profiler that creates foam plugs to build complex molds) results in an unbelievably quality yacht that is consistently produced at the same superior level. The owner experience is where Viking really excels. Every aspect of a Viking Sportfish or Motor Yacht is designed and built with the experience in mind. For example, the cockpit of a Viking Convertible or Enclosed Bridge is an extremely important area as this is where the action happens when a Marlin is hooked. Not only has Viking equipped each angler with the very best in options from livewells, fish boxes, rod holders, but the quality of construction has allowed Viking to build larger beam vessels which creates more volume in the cockpit, allowing the crew to work around the angler without running into each other. In addition, Viking has designed what they call an observation mezzanine which is a comfortable, air-conditioned space in front of the cockpit for guests to watch the action as it unfolds. Viking truly has re-shaped what it means to over a Sportfishing Yacht and will soon re-define the motor yacht market as well. Let the experts at United Yacht Sales, who truly understand the current pre-owned Viking market, help you navigate the choices available to you today. The Viking 37 Billfish exceeds the limit on the bar of the memory of classic vessels with such contemporary styling. The 37 Billfish is also designed with sleek and modern durable materials for the best performance. The 37B has been designed to mimic the historic Merritt and Rybovich day era. 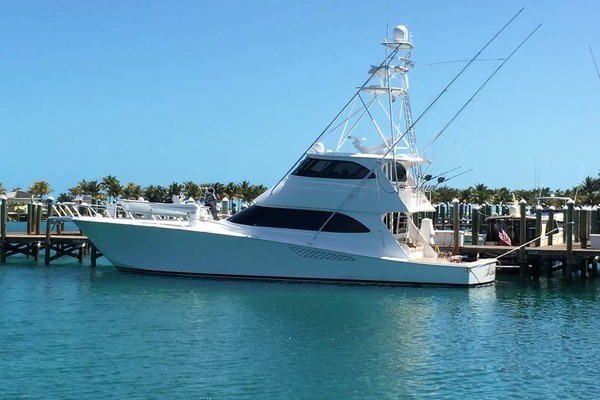 This particular yacht was built to be tournament ready no matter where the fishing may lead. When accessing the 86-foot cockpit equipped with all the necessities such as a bait freezer, tackle stowage, a transom door and more. An all-weather protection with a U-shape dinette, a fiberglass table with a ton of room to relax comfortably, describes the salon. This 37B is also equipped with a lower helm station, perfect for the anglers who plan to fish in the winter months. Air conditioning is also available on the command deck for those fishermen looking to escape the heat. 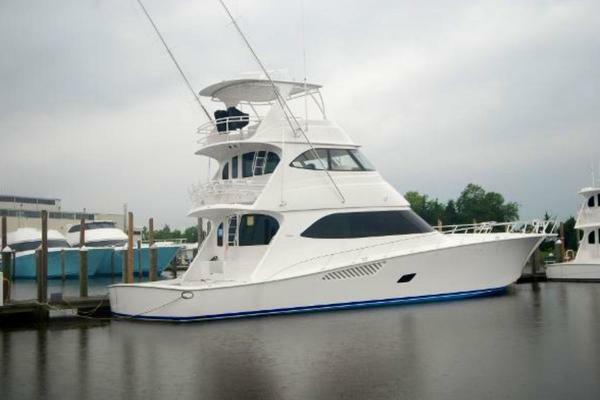 With close to 14 feet of beam grants the Viking 37 Billfish a great amount of room and an air-conditioned layout. The galley is an L-shaped galley with Corian countertops, a stainless-steel sink, electric cooktop, spacious cabinetry, cooking utensils and a ton of supplies ideal for extended traveling no matter the occasion. For more than five decades, Viking Yachts has introduced a numerous amount of ground breaking designs. 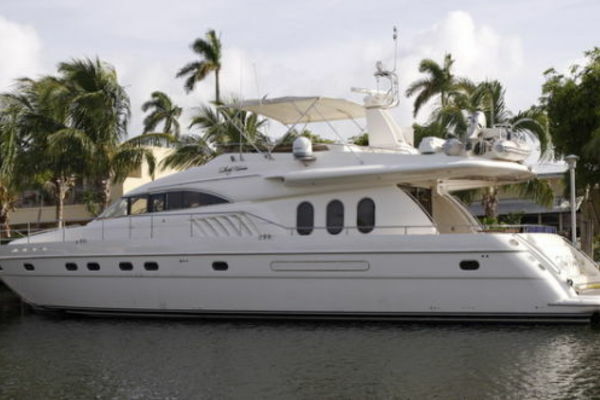 During 1996, Viking introduced its first Viking 55 Convertible at the Fort Lauderdale Boat Show. Today, the newest edition of the 55 Convertible from bow to stern and every foot in-between shine with perfection. The 55 Convertible tops speed in excess of 40 knots. The flybridge and the cockpit have been designed for fishing tournaments with a ton of amenities to cater to the sport such as a center console hem station. Accommodations include a friendly layout with three staterooms and two heads. Laundry center and a choice of a salon floor or peninsula style galley with under counter refrigeration. From all the custom features to choose from, you can make this boat specifically to your style. Every new Viking starts with a fresh slate, designed to take full advantage of its power on the water. The 75 Motor Yacht has a convertible running surface to utilize horsepower and also for the handling and sea-keeping ability. The 75 Motor Yacht hits a top speed in the mid-30 knot range and a cruising range of 30 knots.  Its tri-level layout demonstrates and intelligent use of space. Five staterooms; each with their own head and shower. 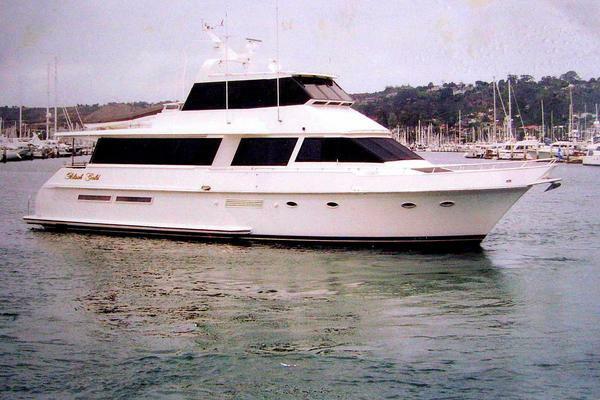 A full beam master suite and crew quarters, both with access from the stern. Twin molded fiberglass staircases lead from the teak planked swim platform to the aft deck. With a U-shape lounge and table, it is a perfect invitation for dining at the yachts club, or on the hook in the Nantucket Harbor. Rich textures of the designer fabrics balance with all the natural light that feeds in from the salon windows. The formal dining area seats six comfortably and a galley equipped to create anything from a shrimp cocktail to a 20-pound roast. If you’re interested in purchasing a pre-owned Viking Yacht, a United Yachts Sales professional can assist you in navigating today's market. With over 150 yacht brokers on the team with an average tenure of over 15-20 years in the business, United has the expertise on staff to help you make the right decision when it comes to the purchase of your yacht. United Yachts Sales has experience, product knowledge, and marketing power to sell your used Viking Yacht. Selecting the right full-service brokerage firm when selling your yacht improves the likelihood of a seamless and timely transaction. Listing your yacht with United Yachts, you can be certain it is in the hands of dedicated professionals.